Sales and Communications Manager for Marcus Today Stock Market Newsletter and Customer Service for Marcus Today SMA. 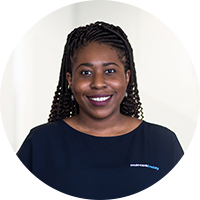 Chichi has a Bachelor in English and American Literature from Goldsmiths University of London and has worked in Sales, Communications and the Arts sector for over 10 Years here and in the UK with a passion for solution’s-based services. Working at Marcus Today Chichi has pursued her passion of Educating and assisting members and clients.